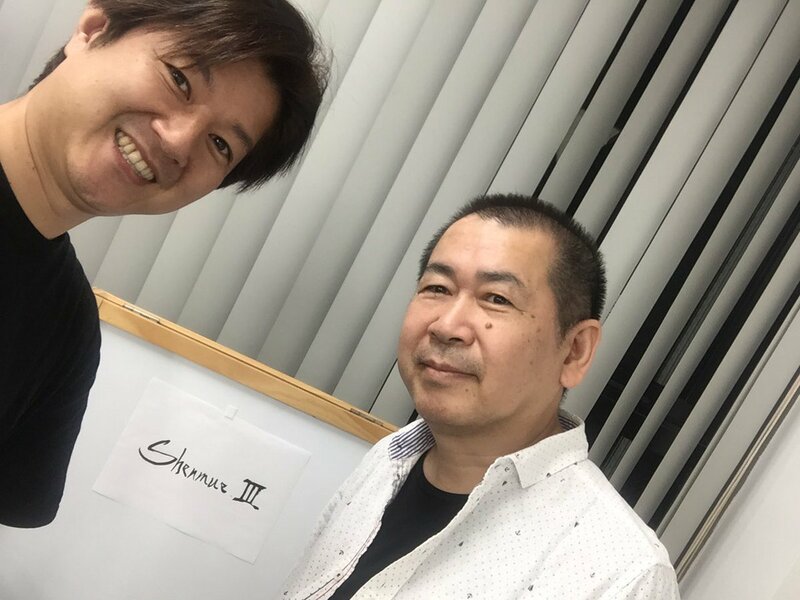 Earlier this week, Masaya Matsukaze tweeted a photo of himself with Yu Suzuki at the YS Net development studio, where he caught up on the latest state of Shenmue III. Masaya Matsukaze is of course the original voice & motion-capture actor for the character of Ryo Hazuki in the first two Shenmue games, and it was confirmed early on that he will be reprising his role as the voice of Ryo for Shenmue III. Masaya Matsukaze with Yu Suzuki. "I was able to meet with Suzuki-san! The background with the whiteboard looks very familiar (for example, in the image below from the Kickstarter Update #66 video), which places them near Yu's desk at the YS Net development studio. The whiteboard & blinds in a previous Kickstarter update video. 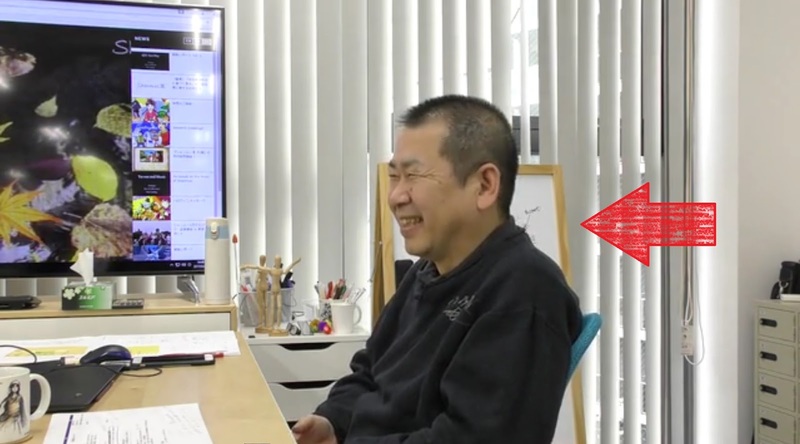 From the tweet's content, it sounds like the main purpose of the visit was for a status update on the project, but no doubt there was also some discussion of the schedule for voice recording. One question that comes to mind is whether any voice recording is planned for inclusion in the trial game backer reward - although the schedule for this has not yet been confirmed by Yu in recent interviews. Check out the short Ryo & Ren Comedy Video that Matsukaze-san featured in 16 years ago back in 2001, with the voice actor playing Ren, to promote the up-coming release of Shenmue II.